According to the company, "The new Moto G6 family and Moto E5 device are designed for you, with exceptional value. They are smarter than ever and focus on display, design and power, with the speed and power of QualcommSnapdragon processors and are all equipped with the Android O 8.0.0 operating system." The Moto G6 Play is priced at AUD $329 (NZD $379) and features a single-lens rear camera (13-megapixel with phase detection autofocus), 8-megapixel front-facing camera, 5.7-inch HD+ display (with an 18:9 aspect ratio), Snapdragon 430 processor, 4000mAh battery, 3GB of RAM and 32GB of on-board storage. Next up, the middle-of-the-road Moto G6 features a dual-lens rear camera (12-megapixel + 5-megpixel), 16-megapixel front-facing camera, 5.7-inch FHD+ display (with an 18:9 aspect ratio), Snapdragon 450 processor, 3GB of RAM, 32GB of on-board storage and a 3000mAh battery. The G6 is priced at $399 in Australia and $479 in New Zealand. All three of the above devices feature fingerprint sensors, headphone jacks, MicroSD slots and dual SIM support. However, only the G6 and G6 Plus feature face unlock, NFC connectivity, USB-C fast charging and a unique curved '3D glass' design. Last and least, there's the new Moto E5. Priced at $229 in Australia and $279 in New Zealand, the Moto E5 features a 13-megapixel rear-camera, 5-megapixel selfie-cam, 5.7-inch HD+ display with an 18:9 aspect ratio, Snapdragon 425 processor, fingerprint sensor, 2GB of RAM, 16GB of on-board storage and a 4000mAh battery. 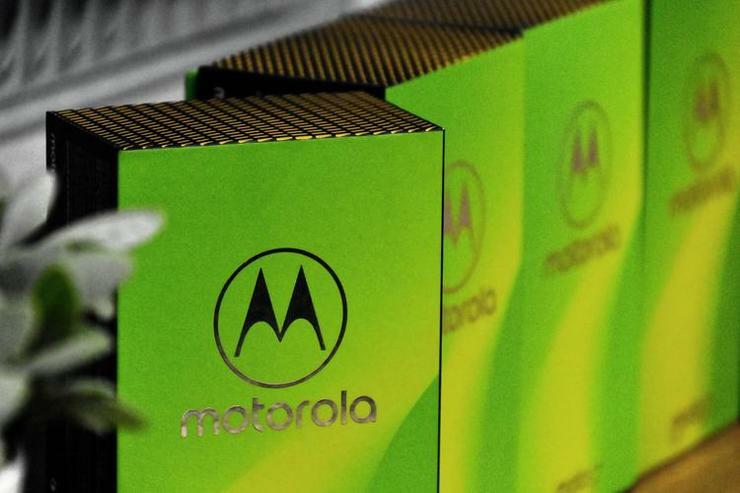 Motorola say that the pre-orders for the new devices will open up on the 1st of June and (in Australia) will be available via JB Hi-Fi, Officeworks, Harvey Norman and The Good Guys from the 7th. You can also visit Motorola.com.au (or Motorola.co.nz if you're in New Zealand) for more info or to buy the devices through Motorola directly.